Rail Europe will add the new Italo train to its range of rail products. 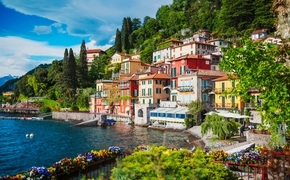 Travelers from North America consider Italy their second-most highly ranked dream destination, and, among Rail Europe travelers, Italy is their top third rail destination. Currently, with 12 stations planned on two lines reaching from Torino and Venice down to Salerno, the network offers active service from Milan-Naples, with intermediate stops in Bologna, Florence and Rome. Additional routes are scheduled to open by the end of 2012. The new train line combines a dynamic design style with the latest in Alstom’s AGV (Automotrice à Grande Vitesse) technology. The high-speed Italo travels at speeds up to 223 miles per hour and offers an eco-sustainable way to travel, with low greenhouse gas emissions, lower energy consumption, and a self-sufficient electricity supply resulting from an electro-dynamic braking system. The cuisine served on board draws on the freshest ingredients from Mario Batali’s Italian megastore, Eataly. Meals on board are prepared locally with seasonal and regional ingredients. Italo trains offer three service levels -- Club class, Prima class and Smart class. Club passengers benefit from exclusive service, two private lounges available for meetings, and access to private salons at Milan and Rome’s Casa Italo service stations. Within Prima class, there is a Prima Relax car, where cell phones are banned and travelers can enjoy the journey and the view. In Smart class, travelers choosing the Cinema car can view top films in high definition along their journey. All classes promise complimentary live Sky TV and movies and free Wi-Fi. Top of the line Frau leather seats ensure travelers are comfortable and connected throughout their journey.